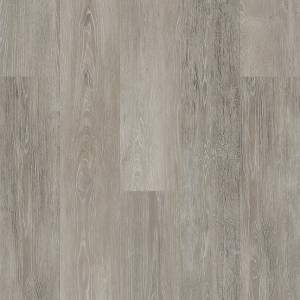 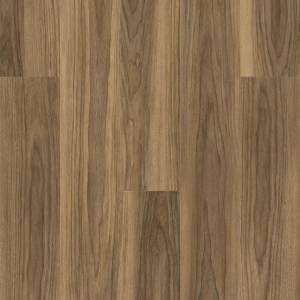 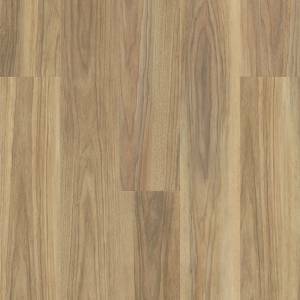 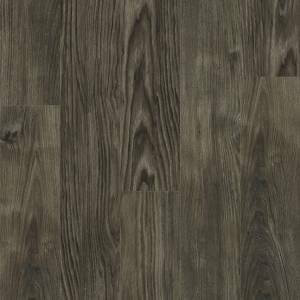 With the look of a hand-scraped and oiled finish, New England Long Plank laminate flooring measures a dramatic 7 feet long. 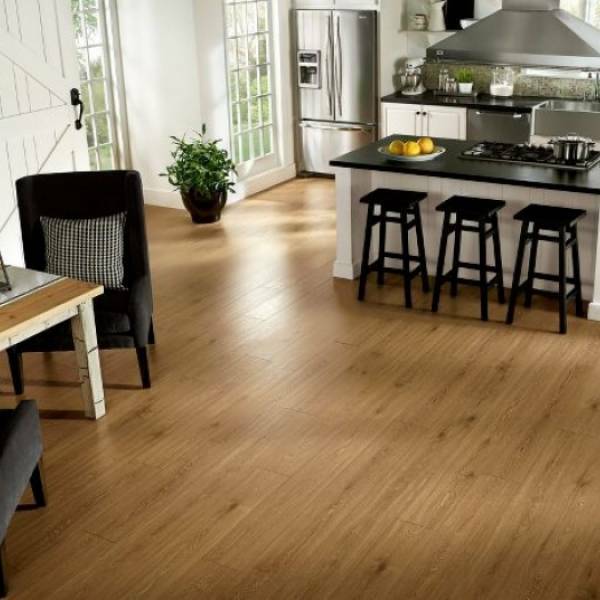 The floor's texture offers the depth, feel, and look of well-worn wood. 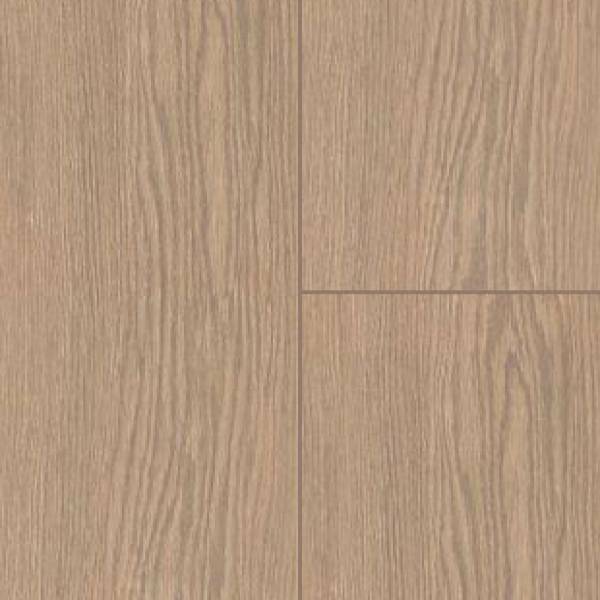 The Lock&Fold panels are designed for easy installation and come in coastline clam, Boston tea (shown), maritime gray, and river boat brown.